Depression in truckers really exists in the trucking industry, although not widely known or discussed much. In America, 1.5% of the population suffers from depression. In comparison, 13.6% of truck drivers suffer from some level of depression, a drastic difference from the rest of the population. It’s something we need to pay attention to and be aware of the signs of depression as professional drivers. 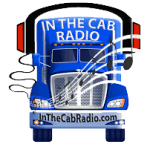 WHY IS DEPRESSION IN TRUCKERS SO PREVALENT? The trucking industry driving population is mostly made up of men, so the statistics show that depression in men in this job is more prevalent than in women. Men, being men, will often not discuss the matter or seek help. Men often feel discussing depression shows signs of weakness. They are often embarrassed about the matter. 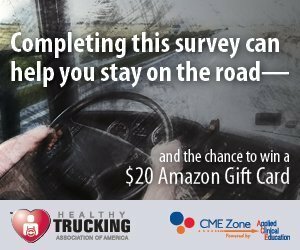 Truckers may feel they have symptoms of depression. But they choose not to discuss it and ride the wave and not seek out help. This is not the answer to the issue. There are other many other causes of depression, but these are causes of depression specific to a truck driving career. Truck drivers are alone much of the time. They spend a lot of time alone, have lots of time to think about things and sometimes overthink matters. Drivers miss their families while away from home. Even the time spent at home with the family can seem rushed and short. The driver often lands at home, sleeps from exhaustion, then repacks and leaves again. There is not much quality time spent with the family, which is badly needed. Things may not be going so well with the trucking company and the dispatcher. Money issues can weigh heavily on a professional driver. Perhaps the driver isn’t making as much money as he needs to pay his bills. Worries about supporting the family can cause a lot of anxiety. Depression can be brought on by sleep deprivation. Truck drivers are certainly in an occupation where this is often the case. Hurried schedules, upside down driving schedules, driving at night and sleeping in the day can all cause problems with the natural, normal sleep cycles. The process seems to repeat itself, with things spiraling and not getting any better. One or all of the above can be contributors to depression in the professional driver. If you experience any of the above signs, even if you think the signs are mild, it’s a good idea to seek professional help. Good health is paramount to professional drivers, both physical health and mental health. Professional truck drivers must pay close attention to both. It helps drivers stay safe. You can text from any location in the continental U.S. to text the crisis line and be connected with a trained crisis counselor. Don’t hesitate to use it.